This window about 8′ in diameter is located on a NW wall 15 feet above the altar. This is the first church in the United States where Pope John Paul led a worship service. While there he left his papal banner as a memento and keepsake to them. 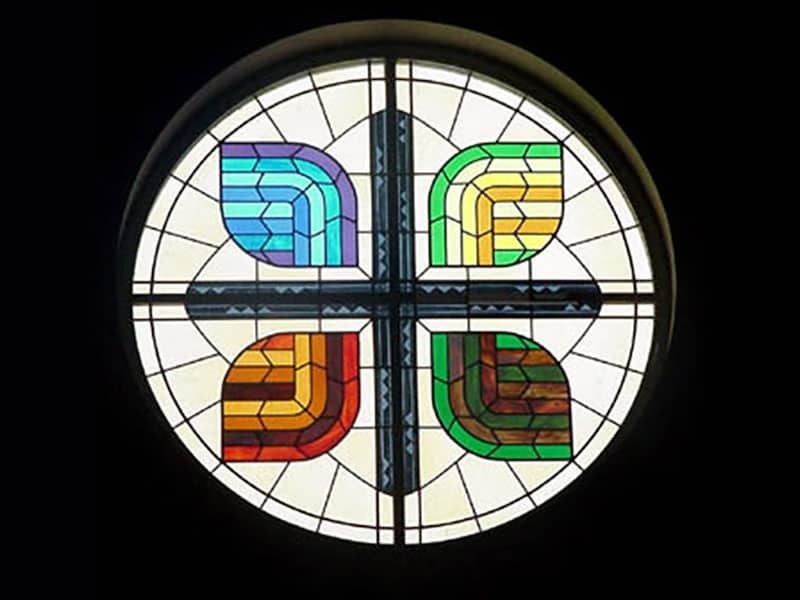 Over twenty years later this suburban church expanded and the stained glass window was commissioned based upon the design of the papal banner. The central cross carries the ridges and furrows of farm fields traced and fired in with black paint. The four seasons are represented by their dominant colors. 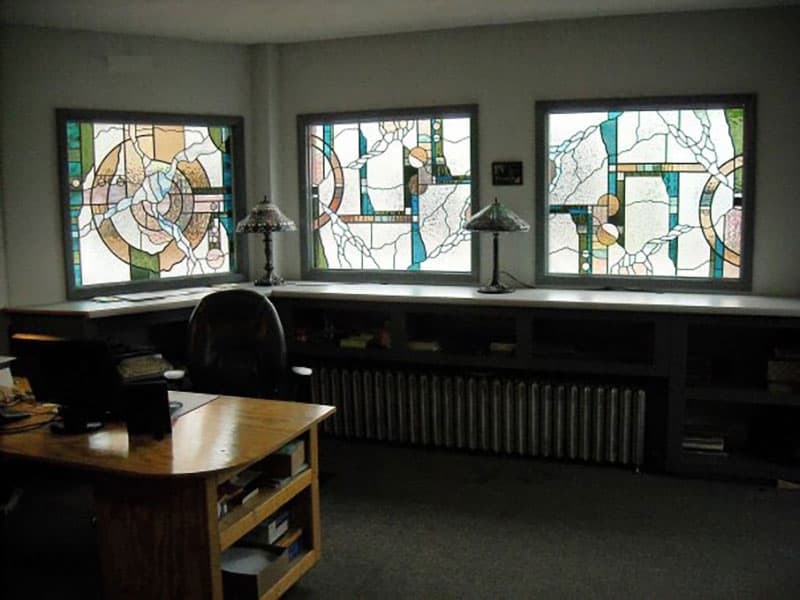 Office windows of O‘Brien Stained Glass Co. Inc., designed by Sandra O’Brien. The design shown above was suggested in concept form by Bethesda Lutheran. 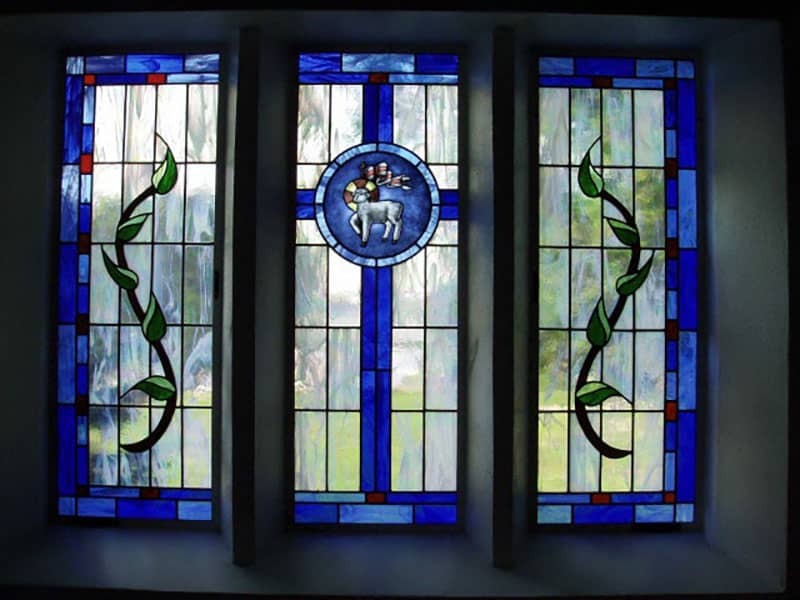 It was adapted and fabricated by O’Brien Stained Glass. They are beautiful inside and outside at day or at night with a simplicity of form that supports worship….